Suggest that your child dress in a grey sweater and navy jeans for a glam and trendy getup. Pink sneakers are a smart choice to round off this look. Choose a white t-shirt and grey print leggings for your child for a fun day in the park. This look is complemented well with Skechers girls twinkle toes shuffles sneaker from Nordstrom. Suggest that your tot opt for a white and black print t-shirt and pink leggings for a fun day out at the playground. The footwear choice here is pretty easy: finish off this getup with Skechers girls twinkle toes shuffles sneaker. This combo of a green coat and pink tulle dress will look extra cute on your darling. 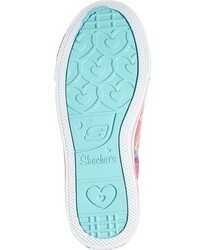 Skechers girls twinkle toes shuffles sneaker from Nordstrom are a smart choice to complement this outfit. Suggest that your darling reach for a pink jacket and light blue jeans to create a smart casual look. Skechers girls twinkle toes shuffles sneaker are a wonderful choice to finish off this outfit. Dressing in a red cardigan and yellow jeans is a good fashion choice for your little princess. 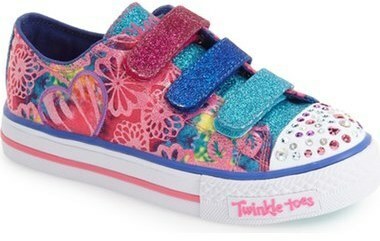 As for footwear your little girl will love Skechers girls twinkle toes shuffles sneaker for this outfit. 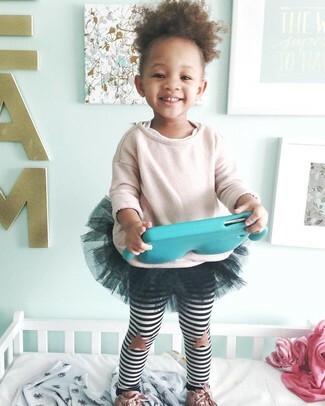 Help your little girl look fashionable by suggesting that she reach for a pink sweater and a black tulle skirt. 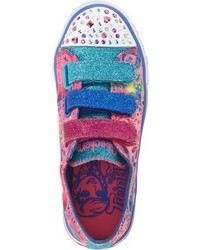 Round off this style with Skechers girls twinkle toes shuffles sneaker. Suggest that your kid opt for a beige sweater and navy jeans for a glam and trendy getup. Pink sneakers are a good choice to round off this outfit.